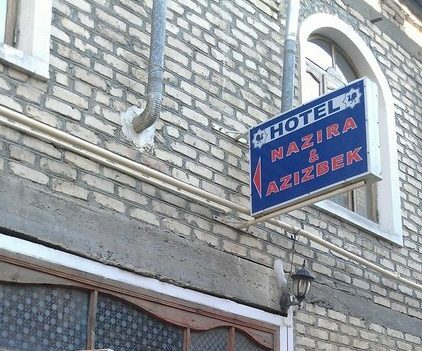 Hotel «Nazira & Azizbek» is located in the heart of Old Bukhara and offers accommodation accompanied by traditional Bukharan family hospitality. 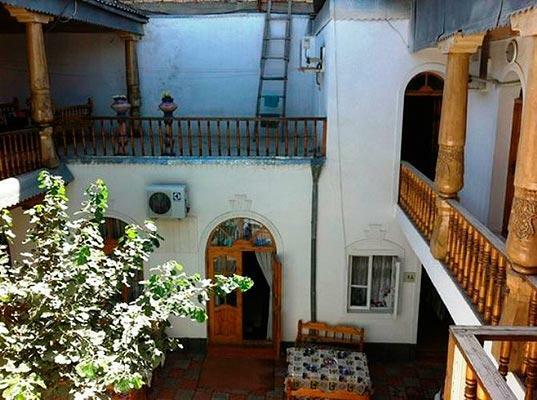 At Nazira & Azizbek you will live in the center of Bukhara next to the heart of Central Asia, the Lyabi House pool. You’ll not only enjoy your stay in a peaceful setting, but have a chance to discover the real Bukhara, where the traditions of centuries continue next to modernity. 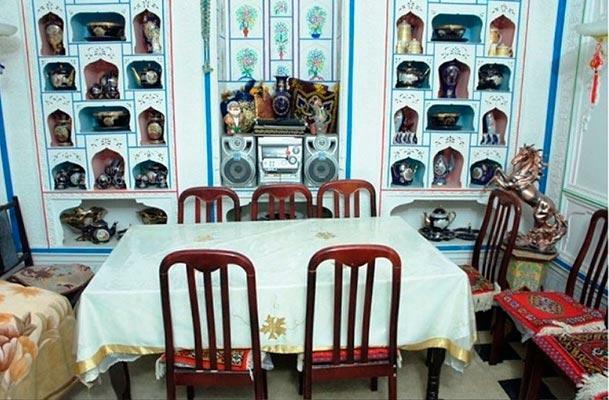 The guesthouse is built in a Guldasta (flower bucket) style: a large entrance with a rectangular courtyard surrounded by two stories of rooms. Breakfast is served in the breakfast hall (winter) and courtyard (summer). Lunches and dinners are served on request. 10 cozy rooms with private bathrooms are equipped with TV, air conditioning and drink facilities. 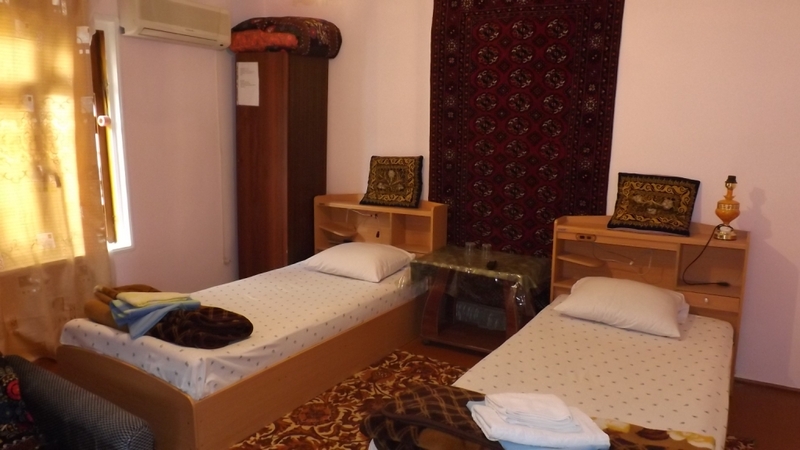 Each room is decorated with embroidered wall hangings, oriental rugs, paintings, ceramics and antique crafts reflecting the 3000 years history, culture and reputation of Bukhara as a city of fine architecture, culture and commerce. The hotel provides for all your culinary needs, offering you national Bukharan food, vegetarian dishes and European cuisine. Nazira and her staff are available to make meals at your request. All you need to do is talk to the staff and let them know that you’d like dinner or lunch and an excellent meal will be prepared for you at the time you have requested.